Hope you remember this guy, because if you don’t he might take the advantage and try to take over the world. Here let me remind you so are defenses are still strong http://www.youtube.com/watch?v=d6k12Z-XjNQ . Yes sir its Invader Zim, on a mission from the Tall Ones to take over Earth. Mind you the take over plan was a ruse by the Tall Ones to get rid of Zim to begin with, but I am not going to go into too much detail as it may ruin some of the jokes for you. Though I doubt anyone could ruin these great jokes, even with spoilers because they were written that well. I recently watched the entire series and I gotta say I still love this series, not only because of the jokes either. This series had a great cast of characters and they were written remarkably well towards their attitudes for example Professor Membrane is written as a genius super scientist. The kick is this character embodies eccentric, as an example here’s a collage of his funniest moments I found on YouTube http://www.youtube.com/watch?v=pGyYGe2H6EA. Hopefully you had a good laugh at those great scenes, he was one of the best characters on the show in my honest opinion. A lot of people remember this show for being random but in actuality this show had some very smart undertones to go with the random jokes. If you ever watch the show again, or even for the first time pay attention to the story and the undertones and get ready for some pretty deep laughs. Ultimately the show follows Invader Zim of course and it is laughable how he presents himself on Earth. Zim is an alien invader pretending to be a human child and he is clearly terrible at it, but it works because none of the humans seemed to care, and therefore didn’t see what was in front of them. Now the clever joke here is that there were two characters that knew Zim’s secret Dib and his sister Gaz, but Gaz could care less about Zim’s secret as she was in her own world and had her own problems. 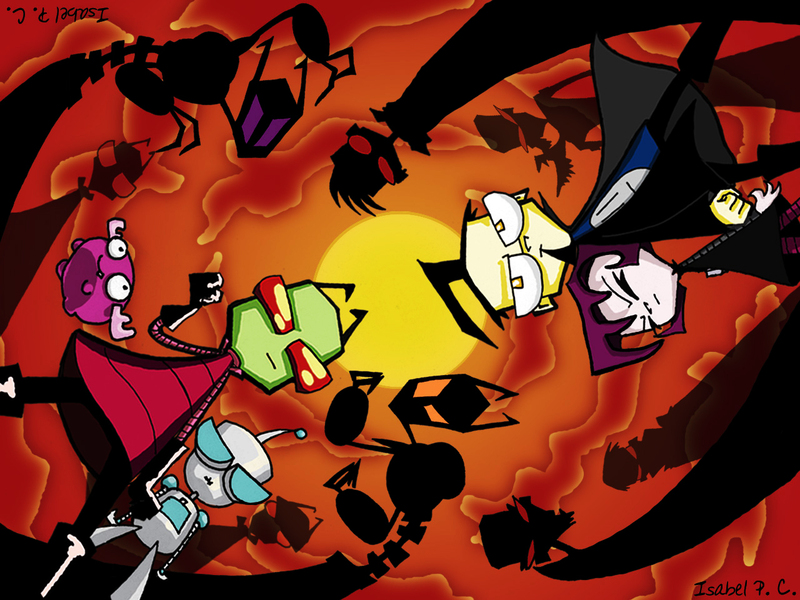 Dib on the other hand was a fan of the paranormal and scifi and he wanted to capture Zim or defeat him before he could take over the world and this is where the real comedy came from for the show. The characters of Zim and Dib really worked well together, these guys embodied the same idea of Tom and Jerry or even Sylvester and Tweety, where one is the prey and the other is the victim. The things this series did though allowed them to make it seem fresh by bringing it to an extreme with high tech toys and machines, as well as allowing each character turn at prey and victim. many times over. sadly this show only lasted the one season. You can buy this season box set or watch it on Netflix, I know I recommend it.